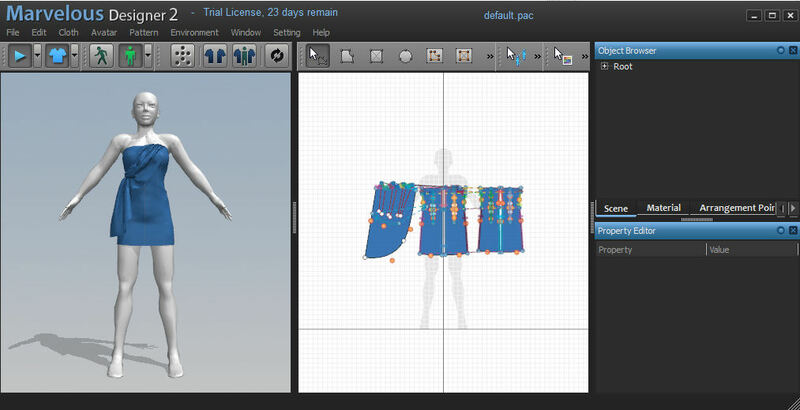 Upload the file SL-MD-avatar.obj into Marvelous Designer. 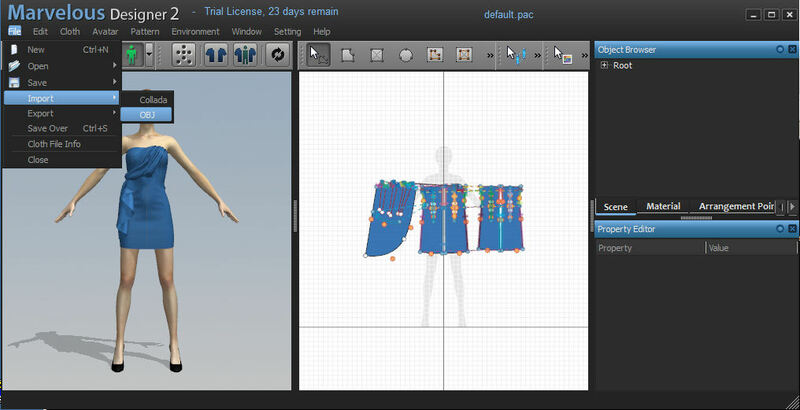 Because of the slightly different shape the garment looks a bit borked directly after the avatar changed. You need to repeat the parts placement step once. 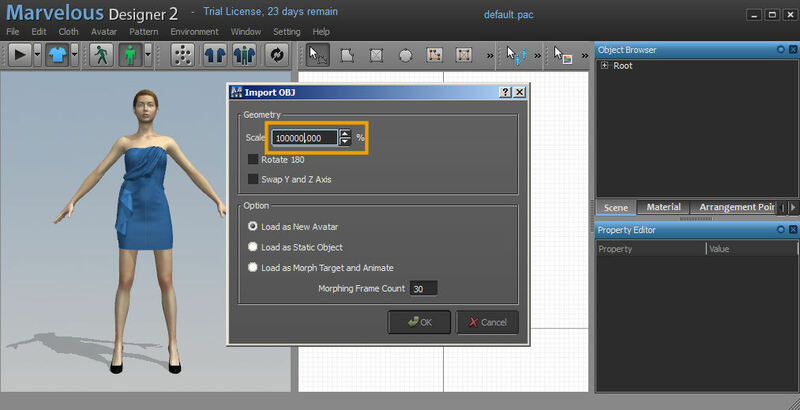 then the garment gets adjusted to the new avatar model. If you have blender you also can download the SL-MD-avatar.blend and later add your creation here for weighting and preparing the mesh export. This file will also be added to the upcoming new jass-release for your convenience.